Swim meets are a great family experience! They’re a place where the whole family can spend time together. Listed below are some very in-depth guidelines geared to help you through your first couple of swim meets. It may seem a little overwhelming, but we tried to be as specific and as detailed as we possibly could. If you have any questions, please ask one of the coaches. 1. Arrive at the pool at least 15 minutes before the scheduled warm-up time begins. This time will be listed in the meet information handed out to all MSSC swimmers and also in the team newsletter.2. Upon arrival, find a place to put your swimmer’s blankets, swim bags and/or sleeping bags. The team usually sits in one place together, so look for some familiar faces. 3. Find the check-in place and either you, your swimmer, or your coach will need to check them in. A. This is usually around the area marked “Clerk of Course”. name, in each event they are swimming, that day. If this is not done, the swimmer will not be allowed to swim that event. C. This is done so that the people running the meet know who is actually at the meet. 4. 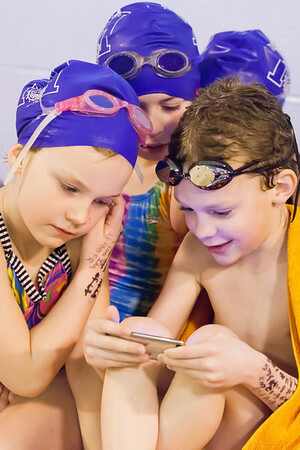 Once “checked in”, write each event-number, heat, and lane on your swimmer’s hand in ink. This helps him/her remember what events he/she is swimming and what event number to listen for. 5. 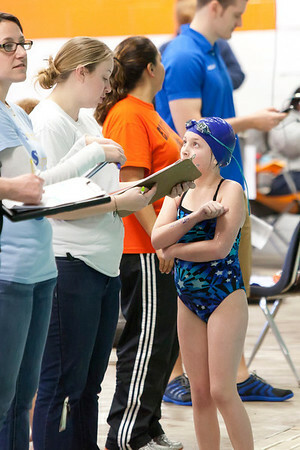 Your swimmer now gets his/her cap and goggles and reports to the pool and/or coach for warm-up instructions. 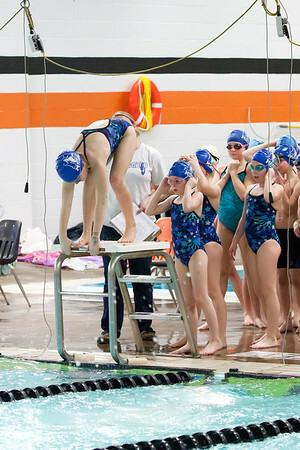 It is very important for all swimmers to warm-up with the team. Swimmer’s bodies are just like cars on a cold day-he/she needs to get the engine going and warmed-up before he/she can go all out. 6. After warm-up, your swimmer will go back to the area where his/her towels are and sit there until the next event is called. This is a good time to make sure he/she goes to the bathroom if necessary, gets a drink, or just gets settled in. 7. 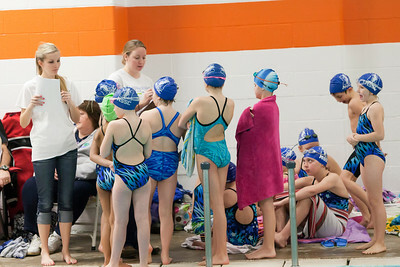 The meet will usually start about 10-15 minutes after warm-ups are over. 8. According to USS rules (because of insurance purposes), parents are not allowed on deck unless they are serving in an official capacity. Similarly, all questions concerning meet results, an officiating call, or the conduct of a meet, should be referred to the coaching staff. They, in turn, will pursue the matter through the proper channels. 9. Heat Sheets – A heat sheet is usually available for sale in the lobby or concession area of the pool. It lists all swimmers in each event in order of “seed time”. When the team entry is sent in, each swimmer and his/her previous best time in that event is listed. If the swimmer is swim¬ming an event for the first time, he/she will be entered as a “no-time” or “NT”. A “no-time” swimmer will most likely swim in one of the first heats of the event. 1. It is important for any swimmer to know what event numbers he/she is swimming (again, why they should have the numbers on their hand). He/she may swim right away after warm-up or they may have to wait awhile. 3. The “bull pen” area is where all swimmers are organized before their events. At events with no bull pen, swimmers will report directly to the pool deck. A. The people running the bull pen will line the swimmers up according to their event, heat, and lane. B. The clerk will usually line up all the swimmers and take them down to the pool in correct order. C. You can expect several heats of each event. 4. The swimmer swims their race. A. He/she is to ask the timers (people behind the blocks at each lane) his/her time or look at the time clock. B. He/she should go immediately to their coach. The coach will ask him/her their time and discuss the swim with each swimmer. A. Tell him/her how great they did! The coaching staff will be sure to discuss stroke technique with them. B. Take him/her back to the towel area and relax. C. This is another good time to check out the bathrooms, get a drink or something light to eat. D. The swimmer now waits until his/her next event is called and starts the procedure again at the bull pen. 7. When a swimmer has completed all of his/her events he/she and their parents get to go home. Make sure, however, you, as a parent, check with the coach before leaving to make sure your swimmer is not included on a relay. It is not fair to other swimmers who may have stayed to swim on a relay where your swimmer is expect¬ed to be a member and he/she is not there. (The coaches speak from experience on this issue). Swimmers should replenish fluids frequently. Not carbonated beverages! Sports drinks, water, fruit juices are encouraged. Skip the fatty foods (chips, donuts) because these foods digest slowly and dimish swim performance. Foods such as vegetables, fruits, pasta, bread,and cereal are better alternatives. These meets are a lot of fun for the swimmers! He/she gets to visit with his/her friends, play games, and meet kids from other teams. He/she also gets to “race” and see how much he/she has improved from all the hard work he/she has put in at practice. Special Parent’s Note: The pool area is usually very warm. Therefore, you need to make sure you dress appropriately. Nothing is worse than being hot at a swim meet. It makes the time pass very slowly! 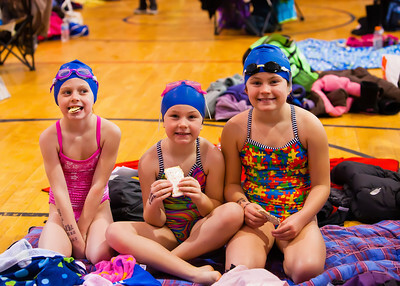 At some of the meets, the parents are allowed to sit with the swimmers at the blanket area. If you don’t think that a gym floor is comfortable, feel free to bring chairs to sit on. Once you have attended one or two meets this will all become very routine. Please do not hesitate to ask any other MSSC parent for help or information!